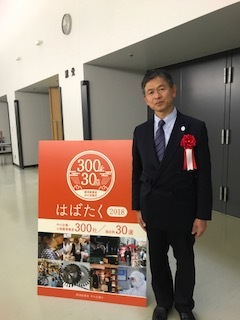 Hisakado Co., Ltd has been awarded a prize of the “300 dynamic small and medium enterprises in 2018”. 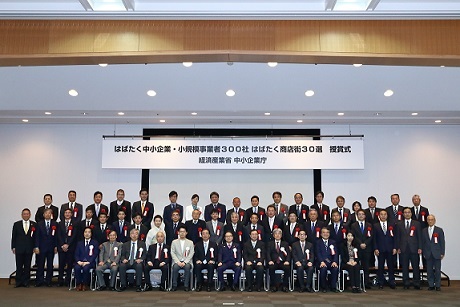 Hisakado Co., Ltd has been awarded a prize of the “300 dynamic small and medium enterprises in 2018” by the Japanese Ministry of Economy, Trade and Industry . We attended the award ceremony held in the main building of Ministry of Economy, Trade and Industry on March 26th in 2018. 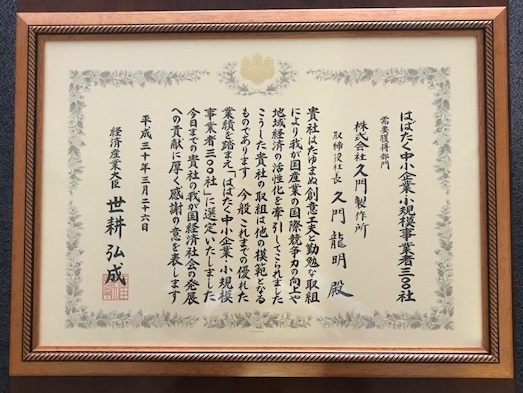 The ministry values the small and medium enterprises which play on active part in their business field and we were awarded in the category of “Market Acquisition”, in which they highly evaluate our business expansion toward overseas, and high ambition for the co-existence and co-prosperity with reputed companies in the industry.